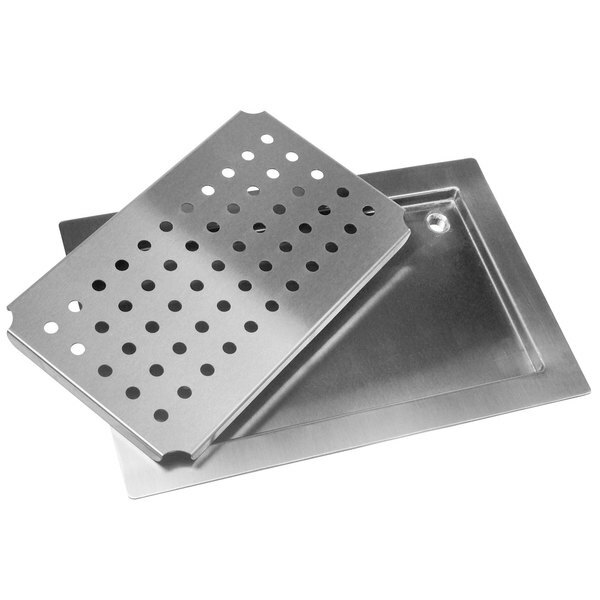 Advance Tabco DP-1842 Stainless Steel Countertop Drain Pan - 42" x 18"
In any high volume bar operation, maintaining a clean countertop goes a long way towards ensuring professional and sanitary service. Help keep your serving station free from spills and messes with the versatile Advance Tabco DP-1842 stainless steel countertop drain pan. Measuring 42" x 18", this drain pan boasts 16 gauge, 300 series stainless steel construction for extended durability. The removable top allows for easy cleaning at the end of a shift, and a 1/2" NPT drain is fitted onto the piece's bottom for quick, easy draining.